Established in 1969, Santa Rosa Golf & Beach Club boasts eighteen holes of “The Purest Golf in the Florida Panhandle” according to Golf Magazine. Each hole offers a fair challenge and unique character only found among the Highway 30a corridor and the Santa Rosa Beach area. Named “Best Golf Course” by Destin Magazine, Santa Rosa Golf & Beach Club is the only course in the area with two holes that back up to the Gulf of Mexico. 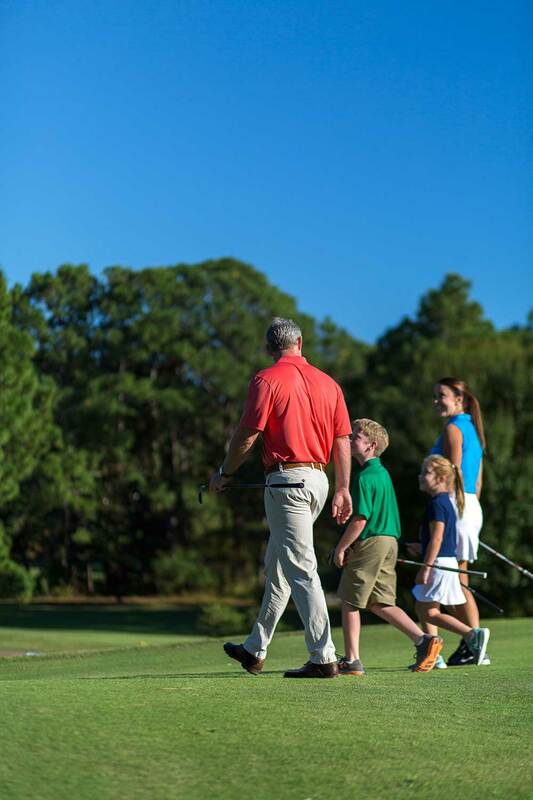 Offering an 18-hole, par 72 course with a challenge from five sets of tees for those of every skill level or handicap, holes three through five, wind around a complex of dunes and within a few hundred yards of the Gulf of Mexico. Santa Rosa Golf & Beach Club boasts some of the only elevation changes in the area and takes golfers from the clubhouse to the Gulf and back through the natural areas that enhance the uniqueness of the course. In addition, the course meanders through natural wildlife habitats and native areas providing a picturesque backdrop of the local area and is designed perfectly for walking with little distance between greens and tees, with Holes 9 and 18 ending up at the clubhouse. Established in 1969, Santa Rosa Golf & Beach Club boasts eighteen holes of “The Purest Golf in the Florida Panhandle” according to Golf Magazine. Each hole offers a fair challenge and unique character only found among the Highway 30a corridor and the Santa Rosa Beach area. Named “Best Golf Course” by Destin Magazine, Santa Rosa Golf & Beach Club is the only course in the Destin, Florida area that two holes back up to the Gulf of Mexico. Offering an 18-hole, par 72 course with a challenge from five sets of tees for those of every skill level or handicap, holes three through five, wind around a complex of dunes and within a few hundred yards of the Gulf of Mexico. The course offers a fair challenge and unique character only found among the Highway 30a corridor and the Santa Rosa Beach area. Santa Rosa Golf & Beach Club boasts some of the only elevation changes in the area and takes golfers from the clubhouse to the Gulf and back through the natural areas that enhance the uniqueness of the course. In addition, the course meanders through natural wildlife habitats and native areas providing a picturesque backdrop of the local area and is designed perfectly for walking with little distance between greens and tees, with Holes 9 and 18 ending up at the clubhouse.